One of Rome’s most famous neighborhoods, Trastevere is piece of ancient Roman life in the center of the city. It’s location (on the other side of the river) from the rest of Rome’s historic monuments creates an atmosphere of a town-within-a-city. 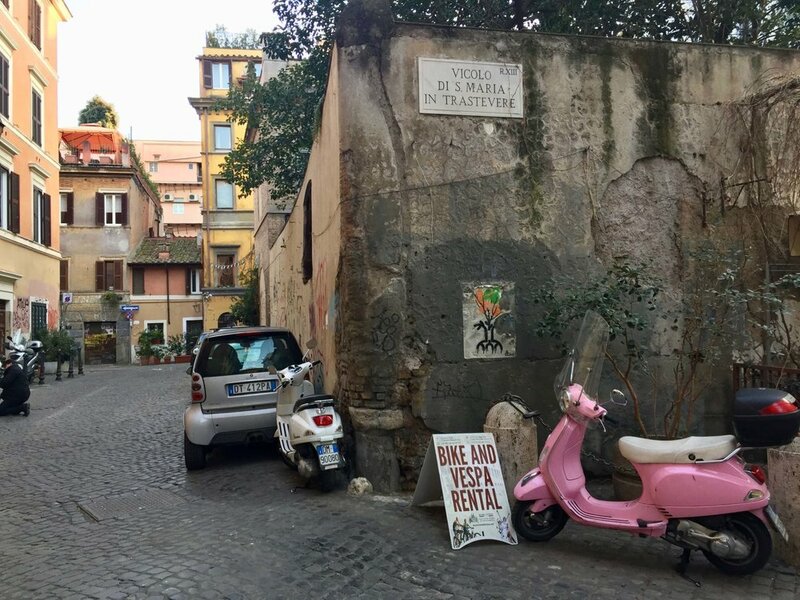 And while it has more than its fair share of tourists and study abroad students, there are also hidden areas to this neighborhood where locals have lived for decades and small quirks that make it a spot in Rome not to be missed. 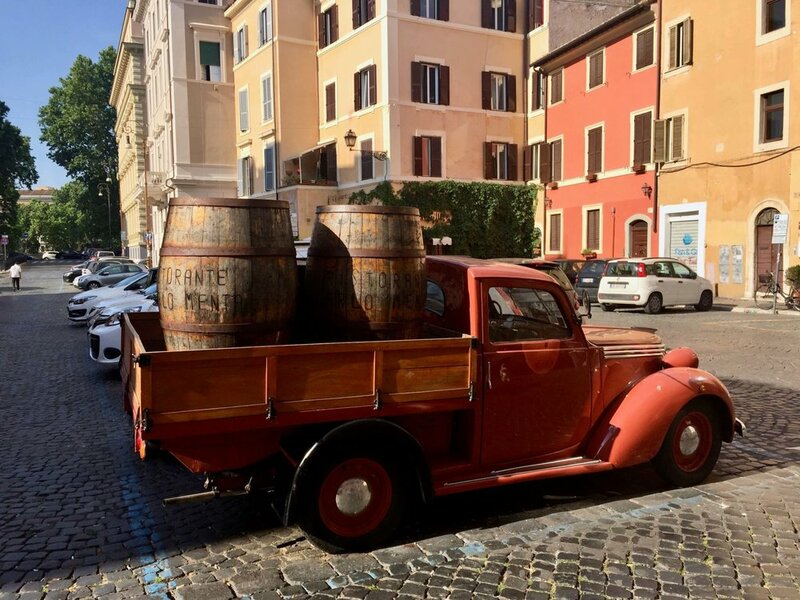 To help you steer clear (for the most part) of the tourists traps, I've created a Trastevere neighborhood guide with a list of my recommendations for places to eat and drink and things to do. Trastevere is known as a foodie destination in Rome, hence why there are so many food tours dedicated to this neighborhood. It’s almost impossible to choose favorites among its many restaurants, aperitivo spots and bars, but you won’t go wrong by heading to one of these spots. It's a classic for a reason. I've talked about it a lot in the past but Da Enzo is one of my Roman classic faves at this point. It's a *bit* touristy but still serves amazing local food. Try the cacio e pepe, carbonara, coda all vaccinara and DEFINITELY get their tiramisu with a nutella surprise. Make sure to call at least a couple days ahead, otherwise go around 9:00 when the first wave of diners leave. There are a lot of pizza options for you but I really enjoy heading to Ai Marmi for a quick pizza and fritti when I'm hungry and just don't want to commit to a full dinner. 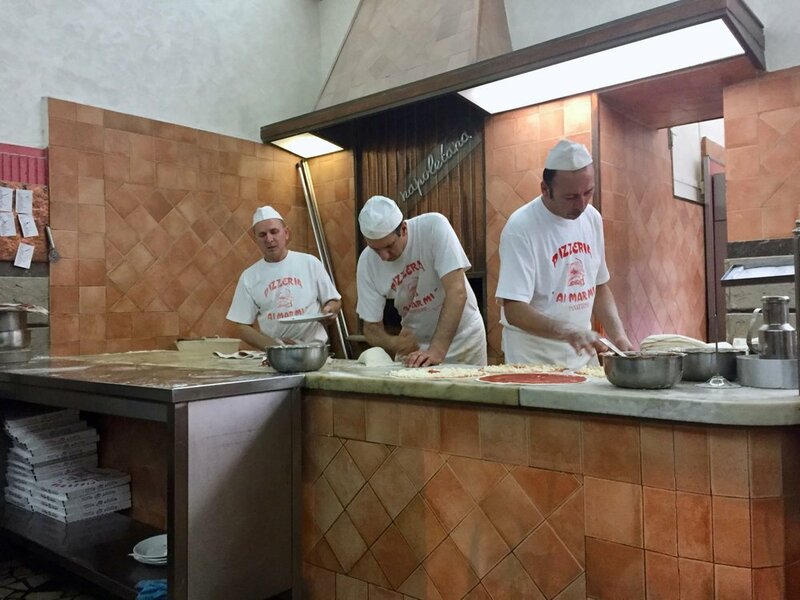 You get to see the pizzas being made right in front of you and can get a generous meal for a deal. While I haven't been here, I'm dying to try their gluten-free or lactose-free pizza. 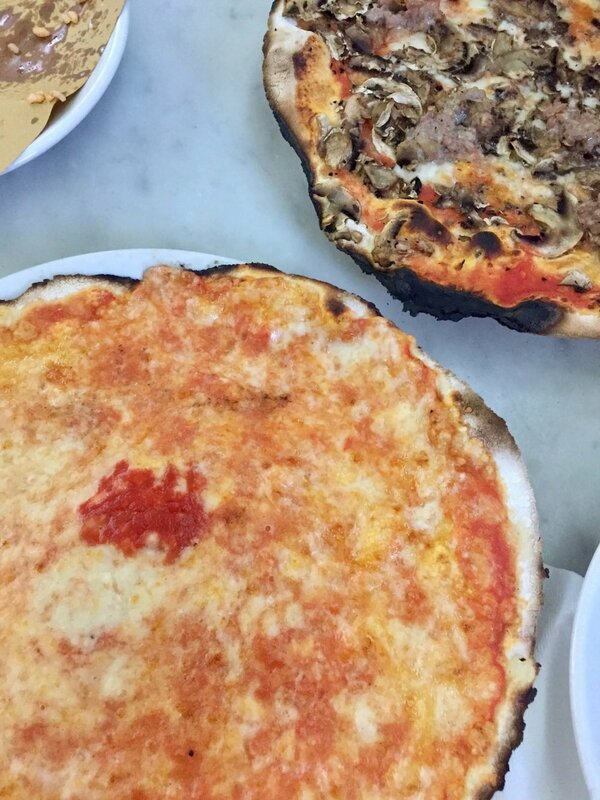 Having food allergies or intolerances is very difficult in Rome, but at Mama Eat they have a separate kitchen for gluten-free food and the pizza is supposed to be quite good. A Trastevere standby, Il Duca gives you everything you need from a Roman trattoria. The carciofi (artichokes) are everything. Some decent gelato in the heart of Trastevere. Some great, organic and locally sourced gelato from across the bridge. Aside from its culinary specialities, Trastevere is one of the nightlight hubs in Rome. You’ll find a lot of Americans here (especially in the most popular piazzas and roads) and even some locals as well. It’s definitely more appealing to younger crowds and those looking to go OUT. Bar hopping is very common, and there aren’t many club options in this neighborhood. If you like beer and are in Rome, you go to Ma Che Siete. 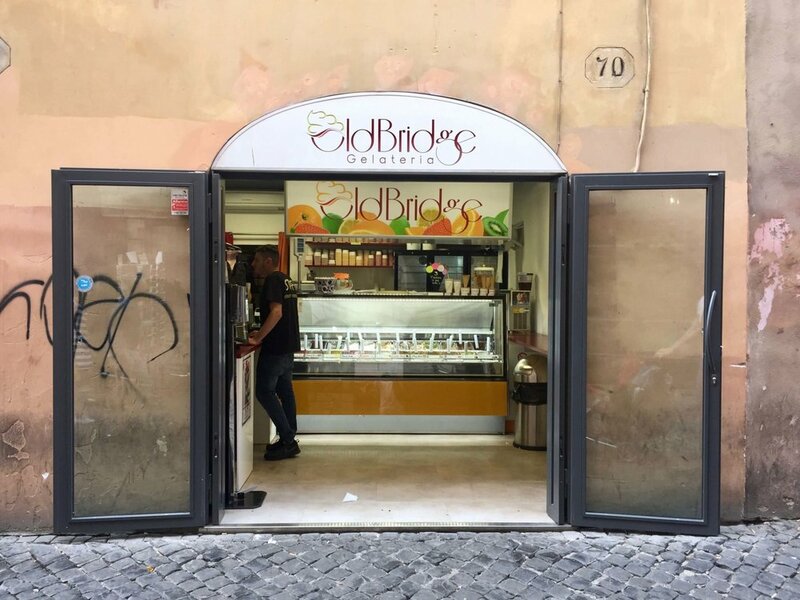 My boyfriend claims it is one of the best beer shops in Rome with about 15 rotating beers on tap with superior "delivery mechanisms". The other would be Open Baladin. Where the cool people go to drink and smoke outside. Inside you'll find a full (vegan-friendly) buffet for their aperitivo. Great cocktails and atmosphere. There are several of these located around the city and they are serve decent wine, alongside great meats and cheese boards or sandwiches. Go for a glass bottle and enjoy some great Italian products. Talking a walk around the neighborhood is my first recommendation but after you’ve maxed out on your daily steps, here are some other options. A short walk from the hustle and bustle of popular Trastevere, the Orto Botanico of Sapienza University is a beautiful place to wander. The gardens are lush and a nice way to get away from everything in the center. 8€ entrance. 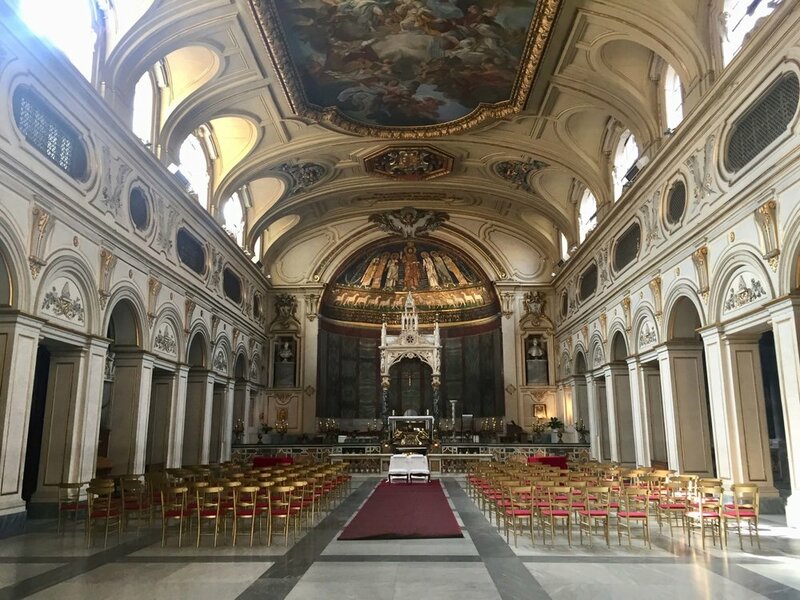 This gorgeous basilica is dedicated to St. Cecilia, patron saint of music. It has a gorgeous fresco, a buried ancient Roman house and remarkable catacombs that you pay €4 to visit. Another perk of heading here is that you get to see the less touristy side of Trastevere, where things are slightly calmer. 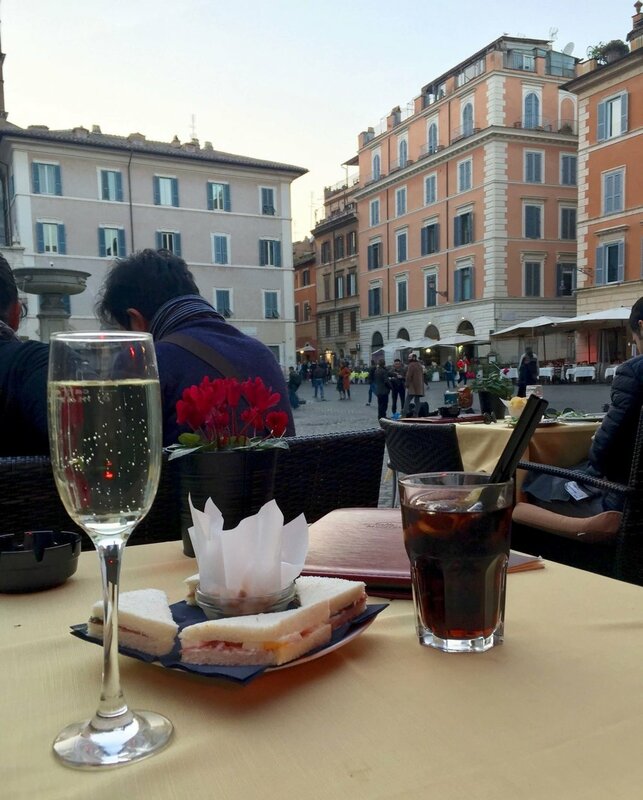 Head to one of Trastevere's main piazzas (Piazza Trilussa or Piazza Santa Maria di Trastevere) to sit outside, drink a cheap bottle of wine and listen to street musicians. In the warmer months there's always a crowd of people mingling and you can really experience Roman nightlife the local way. Gianicolo is Rome's second largest hill and offers a great view overlooking the Roman skyline, reachable by stairs from Trastevere. Head up here in between meals or drinks to watch the sunset because the view is worth it. Head to an outdoor movie in the summer. Natalie has some great tips on outdoor summer events in Rome and this open air cinema seems like a lot of fun. Note that films are shown in Italian. 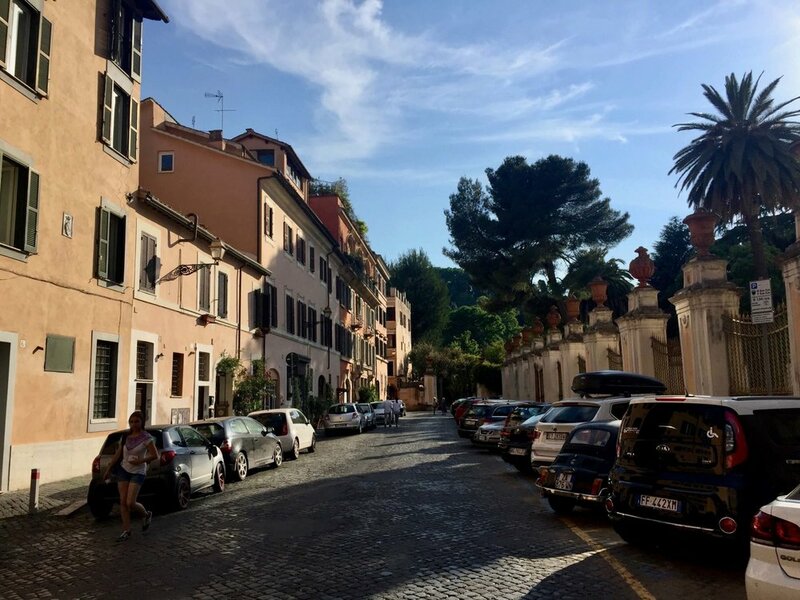 This definitely isn't an exhaustive list, but it's one that I'm constantly adding to and testing out ;) Keep an eye out here for future updates on Trastevere and new neighborhood guides for other parts of Rome!